Josh grew up in the Midwest and spent much of his childhood enjoying the forests and lakes of Missouri and has always loved the outdoors. Both of his parents are engineers and as such, he has always wanted to know how things worked and how to fix them. This desire followed him through medical school at the University of Missouri – Kansas City where he chose to pursue a career in orthopedics. He moved to the Northeast after medical school and was fortunate enough to complete his orthopedic residency at Brown University in Providence, Rhode Island. After residency, he completed a trauma fellowship at the busiest trauma center in New England, Rhode Island Hospital. Here he focused on lower extremity fracture care and reconstruction. 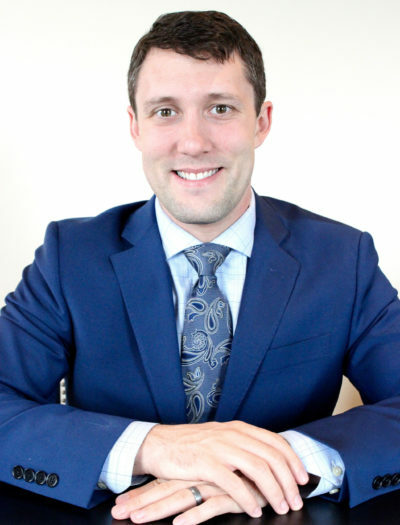 During these years of training, Josh developed a keen interest in foot and ankle surgery. Eager to expand his expertise within foot and ankle surgery, he completed an additional fellowship in Boston at Harvard’s Brigham and Women’s Hospital. Still not far enough north, Josh along with his wife, Jill, and daughter, Matilda, decided to move to Bangor to join the wonderful team at Down East Orthopedics. Josh enjoys caring for a multitude of foot and ankle ailments from broken toes and ankle sprains to more complex pathology such as deformity and arthritis. Contact: To contact the office of Dr. Vaughn please call (207) 307-8972.